Also known as “luo han guo,” monk fruit is a small, green melon that was originally harvested in the Guangxi and Guangdong mountains of southern China as far back as the 13th century. Named after the monks that cultivated this fruit from vines, monk fruit was often used as the main ingredient in cooling drinks in traditional Chinese medicine. In fact, monk fruit was regarded as the “longevity fruit,” thanks to its beneficial properties. Nowadays, this delicious fruit is more widely known as a revolutionary sugar substitute. Our product is a highly potent CONCENTRATE, not merely raw powdered fruit. It consists of 50% "mogroside V," the sweetness molecule found in monk fruit. 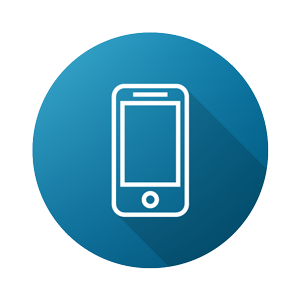 So you only need to use a very tiny amount, making this extract an extraordinary value. Monk fruit extract is 300 times sweeter than cane sugar, but not because of natural sugars like most other fruits. The incredible sweetness is due to the presence of mogrosides, powerful antioxidants with varying levels of sweetness. Because of this, monk fruit extract is metabolized differently by the body and has a negligible effect on blood sugar. Unlike many other sugar substitutes and sweeteners, monk fruit extract has no bitter aftertaste, either. Moreover, monk fruit contains almost no calories.  This makes it the ideal sugar replacement for people keeping a close eye on their blood-sugar levels, or those who are working on their weight-loss plans. Just a light sprinkling of monk fruit extract is enough to sweeten almost any food or beverage. And that's another good thing about this fruit: it has a wide range of uses. It nicely tops off teas, coffee, yogurt, oatmeal, smoothies, and even other fruits, imbuing them with a rich sweetness that can only be obtained from monk fruit. It's got none of the bad stuff -- Our monk fruit sweetener is just that; no additives, fillers, or artificial flavors whatsoever. 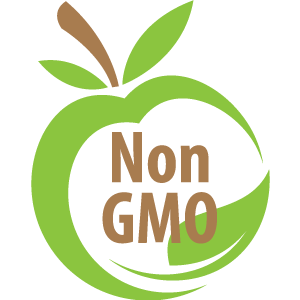 It's non-GMO -- Purity and cleanliness mean a lot to us, which is why we make it a point to use only non-GMO ingredients in our products. 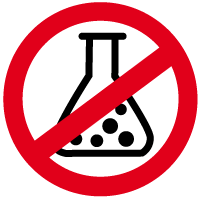 It's been lab tested and verified -- We pay close attention to our monk fruit raw material with rigorous testing for pesticides or heavy metals. Enjoy sweetness like no other! You've tried the rest, now try the best. 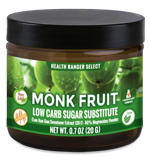 Health Ranger Select Monk Fruit Extract Powder Low Carb Sugar Substitute is ideal for people who like their smoothies and drinks a little sweeter but also want to watch out for their health. Just a pinch will give your coffee or tea that extra deliciousness. 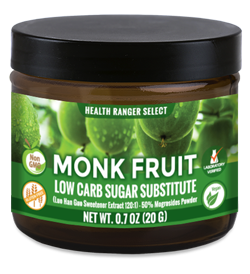 With Health Ranger Select Monk Fruit Extract Powder Low Carb Sugar Substitute, you're getting quality in every granule.